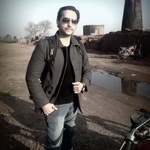 I'm Shahbaz Zafar at OxygenDevs, an expert Web Developer with knowledge of many Web programming languages. My code is semantic, valid and clean, ideal for SEO. I need an opencart expert to do a few jobs. Excellent work. Very quick. No hassle. Thanks, for appreciate my work..